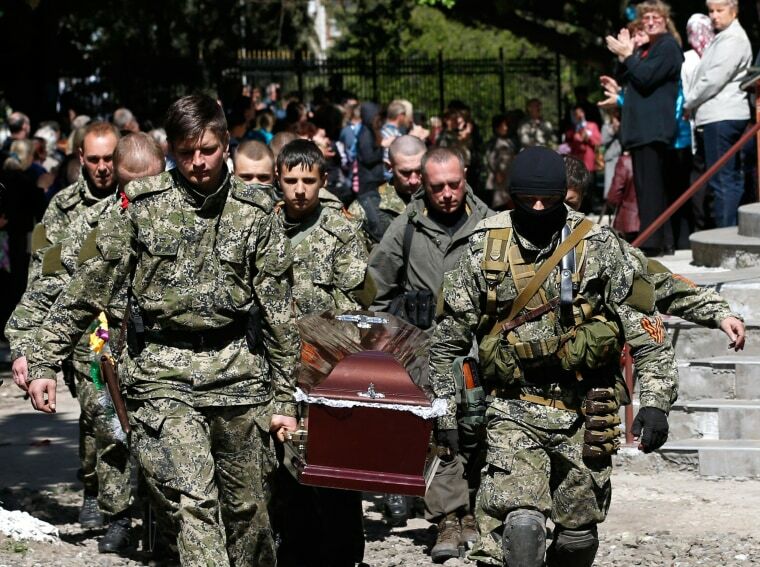 Mourners buried the bodies of pro-Russian separatists who died in clashes in the eastern Ukrainian city of Slovyansk Wednesday. At least 34 people were killed in the Monday battle as government troops fought to reclaim the occupied city, the country's interior minister said. Some 30 of the dead were pro-Russian separatists while another four were Ukrainian troops. The activist-run eastern regions of Donetsk and Luhansk are planning to hold a secession referendum on Sunday, which the central government has declared illegal. However Denis Pushilin, a leader of the self-declared Donetsk People's Republic, said Wednesday that he would consider Russian President Vladimir Putin's call to postpone it.